Get a monthly review of the best of Dale Dauten as well as the latest news and updates! Sign up for the E-Luminations newsletter and you'll receive the latest news direct from Dale Dauten! How is it that some leaders can demand the most of you in such a way that you love them for it? 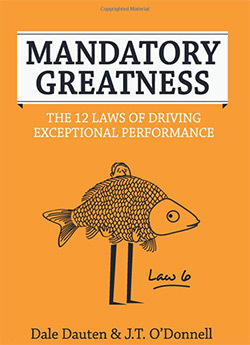 When Dale Dauten and JT O’Donnell studied such leaders they came up with this surprising concept: MANDATORY GREATNESS. Said another way, creating a team that exceeds expectations is no accident. Here is a book that will change forever how you view teamwork, management and the art of producing results. There are hundreds of books on finding jobs, and dozens on hiring employees -- all guides to operating in the job market. But the best bosses and employees rarely use the traditional job market. No surprise there, at least not to sophisticated recruiters or job hunters. After more than a decade, including ten foreign editions and 16 printing, William Morrow/HarperCollins is bringing out a Revised Edition. 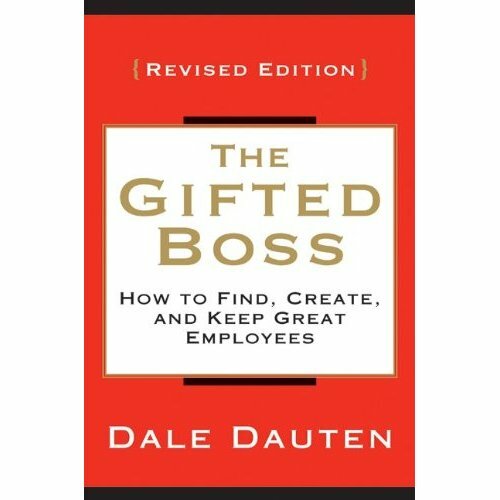 The conversation that is the heart of the book remains the same, but Dale has added a "quick start" guide to help readers implement the book's ideas, as well as a Discussion Guide to make it easy to build a program for managers around the book. 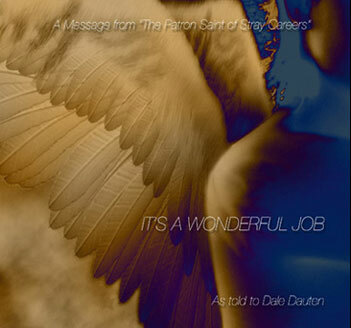 "Dauten's work clearly soars ahead of his time. He is the Obi-Wan Kenobi of business consultants." "While Dale's writing will keep you up late reading, his book is like a great night's sleep – leaving you refreshed, renewed, and eager to try something new." With lively language and entertaining stories, (Great) Employees Only reveals how gifted bosses hire, de-hire and inspire, and shows you how to emulate their tactics and success. "Let's say we have two managers who, on the same day, take over identical teams. Both are bright and eager to excel. One has read all the management books on motivation; the other has just this book." "In six months, the first manager will have increased productivity by 10 percent, maybe 20 percent. The second boss, using the great employees only system, will have increased productivity by over 100 percent, while putting in one-third fewer hours at the office." "Along the way, the great employees only leader will have encountered less resistance, made more friends, learned more, and had far more fun." Tap into the "underground talent market"
Enjoy the benefits of Effortless Leadership. Don't know what you want to do when you grow up? The Max Strategy is for you! It argues that you don't need to be obsessive about planning and goal-setting, that success is usually an accident and that finding it requires a willingness to experiment. 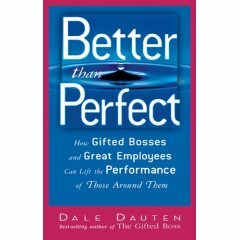 How to Enjoy Killing the Status Quo, Dale Dauten's summary guide to a career of "creative usefulness." He writes, "The warriors of the modern organization aren't just fighting deadlines or bureaucracy or even the competition, they are searching out better ways to serve, faced off against the current standard of quality. Finding Work, Finding Inspiration (a story about coming back from being laid-off) Available in both e-Book and Audiobook formats, free! © 2017 Dale Dauten. All rights reserved.